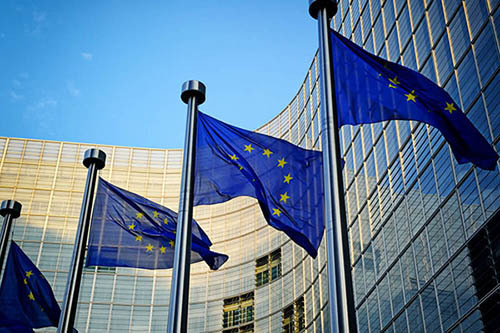 EEF, the manufacturers’ organisation, has welcomed the Withdrawal Agreement published last week, believing it safeguards the key outcomes that will enable manufacturers to plan for the future with a far greater degree of certainty. Earlier this year, EEF conducted a Brexit Audit, which highlighted the main asks from manufacturing as the UK prepared to leave the European Union. Four key outcomes emerged which Industry needed from any transition period and final negotiations to make Brexit work. 1. Manufacturers asked for a properly planned implementation period for leaving the EU which delivered sufficient time to allow for trade negotiations to conclude. The Withdrawal Agreement allows for a period of transition which is potentially extendable and likely to be sufficient time to conclude the UK’s final trading arrangements with the EU. 2. Manufacturers asked for frictionless trade by ensuring no tariffs on the import of goods and protecting just in time delivery logistics as part of an integrated supply chain. Frictionless trade and protection of the supply chain is prioritised and delivered through the Withdrawal Agreement. 3. Manufacturers needed the ability for EU workers to move into and out of the UK, ensuring British companies can fill vacancies where they have skills gaps and send workers to the EU for service contracts and other commercial opportunities. This is delivered as the reality is that during the implementation period businesses will still be able to move workers in and out of the UK and manufacturers will still have access to the EU talent pool. 4. Manufacturers asked for a firm commitment to maintain mutually recognised, close regulatory alignment with the EU, supported by a system of arbitration and standard setting to ensure that British firms can produce goods that can easily be traded across Europe with clear protections in place. With the transition period in place as part of the Withdrawal Agreement, the UK will continue to comply with EU law and manufacturers will only face one set of legal changes at the end of this period. “What we have called for from the very start of the Brexit negotiations is clarity and the draft Agreement the Government has struck with the EU provides this to a greater degree than we have seen to date. “Having undertaken a period of analysis, we support the Government’s approach. There is a clear sense of alignment with the EU of standards and regulation which is essential for businesses to continue to operate efficiently and it delivers frictionless trade through a Customs Union. However, it is less specific in the longer term around the free movement of workers. Vital skills from the EU are essential to Britain’s continued manufacturing success so there is still work to be done, but this Agreement is certainly a step forward. Read this article on the EEF website.